Protecting your privacy is important to “KratomCabin.com” and its affiliates. They know the significance and substance of personal information provider by users. The purpose of this statement is to set out the purposes for which, and the manner in which, company may collect and use personal information and non personal information that they may obtain about you. This policy explains how we use and discloses the personal and non-personal information you may provide to them. 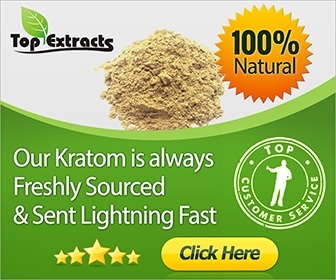 KratomCabin.com works with third parties for advertisement that shows and the preferences and interests of user community. Third parties may use their own online tracking technologies, internet beacons or Cookies in the advertisements served on the KratomCabin.com website and in newsletters, special promotions or emails send you. Some parties use organizations other than KratomCabin.com to display their public notice and to check user’s reaction to advertisement, and these companies may also collect Non-Personal Information via Web Beacons or Cookies on the website. Their ads may be served on the our website or on third parties where you logon after you use the website. Though, KratomCabin.com advertising policy forbids third parties who gather cookie or web beacon information through our website from collecting any Personal Information from the website without your permission or approval. Our policy also prohibits advertisers from mixing any Non-Personal Information with Personal Information gathered by them on the KratomCabin.com. To suppliers and vendors due to their provision of services or products to KratomCabin.com.